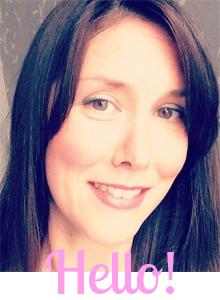 I ♥ Motherhood: Lollibop Update and Ticket Giveaway! I've blogged previously about how we've been given the opportunity to be an Official Lollibop family for this years Lollibop Festival in Regent's Park - a festival aimed at the under 10's. 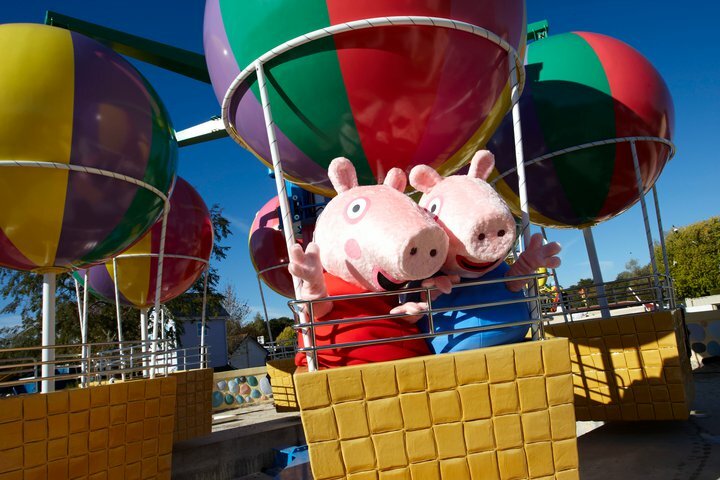 We're so excited and can't wait for Isla to have a fun day with all the attractions that will be there. Recent additions to the line up include Peppa Pig and Ben and Holly's Little Kingdom - both of these will get Isla extremely excited as these are her two favourite TV programmes! Rastamouse is also on the programme and I know that there are a lot of parents who like that let alone the kids! I'm particularly looking forward to 'Minimission' - an Ibizan style club for kids with music from Baby does Disco - where there will be a beach, tea, treatments and mini makeovers! There's also a Bubble Zone and Face Painting - both things that Isla has enjoyed in the past. The best thing about all this is that once in the festival all these things are free (apart from the food/ drinks and I think we'll probably take a picnic to get over that!) and so no need to put your hand in your pocket. So after reading all that, what are you waiting for? At the moment there is an exclusive promo code that enables people to purchase LolliBop tickets at the (now ceased) Early Bird rate of £19 per ticket – rather than the current price of £23. 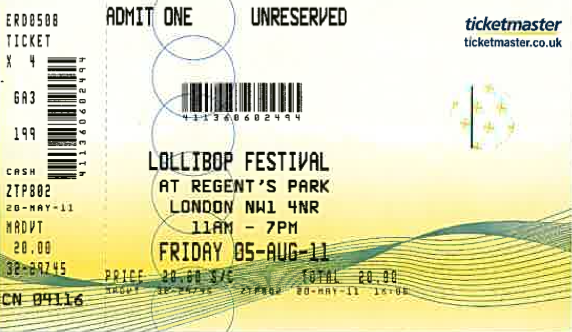 The promo code is LOLLIBLOG (case sensitive) and is only available through Ticketmaster - http://www.ticketmaster.co.uk/Lollibop-Festival-tickets/artist/1106046. But bigger news than this is that the fantastic Lollibop people have given my blog readers the chance to win a ticket for a family of 4 to gain free entrance on any day over the weekend, 5th - 7th August - you choose! This is such a great prize and would usually set you back £80 as an advance online purchase or £108 on the gate! So for your chance to win, compulsory entry is to please visit the official Lollibop site and come back and leave a comment below telling me what you and your children would most like to see at this years Lollibop festival - there is so much to choose from, so I don't mind if it's a long list! and I Heart Motherhood Facebook Page here: http://on.fb.me/lIUiHW and leave a separate comment to say you have done both of these - if you already 'Like' then please let me know. For a final extra opportunity to win Tweet to say you have entered this competition including the Twitter ID @iheartmuthahood and @lollibopuk and again leave another comment saying you have done this. For all entries please leave either your email address or twitter ID as a method of contacting you should you win. This competition is open until 30th June, so good luck! My little one loves Gymboree and Toddler Sensory so he would love to go to the festival! Mine would love the lollisports! I fancy the Babyoke, Bubble zone, Baby loves Disco and, erm, Mr Motivator!!! Rastamouse and Mr Tumble for the teeny tot. Me and the 7 year old wd love the Ibiza club with tuns from Baby Loves Disco! My son is turning 4 in a weeks time and his brother is due to be born this July. I'd love to do something special with my 4 yr old so that he doesn't feel left out with the new arrival. I know he'd love to check out Charlie and Lola and see Mr Tumble! I have liked your facebook page too. Fingers crossed and thanks for such a great giveaway. Ooh what to choose - there is so much. My eldest would love to see Horrible Histories and experiments from the Science Museum, oh and making stuff at the Imagination Stations.Little one would be blown away by the ZingZillas and Peppa Pig, not to mention seeing Charlie + Lola, The Bubble Zone and the Fairy School - and that's just for starters. Would so love to win these - great giveaway! I have done everything as requested!!!! We want to go and chill out with Baby Loves Disco........then a bit of BEn and Holly action....not forgetting my favourite the lovely Lola!! This is the sort of festival we can go to until the kids are old enough to come to IOW with us! following you both on facebook too.